He was known as a hard-working family man who knew New Canaan better than anyone else. But, most likely, Benjamin Olmstead will be remembered as a problem solver. "His common phrase was `No problem,'" his daughter Lisa Weed said. "Nothing was ever a problem for Dad," his daughter Kim Dennehy said. "If it was, he would find a solution." Olmstead, a 37-year veteran of New Canaan's Department of Public Works, died Thursday at Norwalk Hospital, one day after he was struck by a pickup truck while spray painting a road in New Canaan. The 71-year-old was hit by a Dodge Ram at the corner of New Norwalk Road and East Avenue at about 11:20 a.m. Wednesday, according to police. The pickup truck was traveling north on New Norwalk Road and was attempting to make a left turn onto East Avenue, Police Chief Leon Krolikowski said. Olmstead, who was a Norwalk resident, suffered "serious injuries" and was transported to Norwalk Hospital by the New Canaan Volunteer Ambulance Corps, according to the chief. Police said the driver and sole occupant of the vehicle, 60-year-old Francesco Sorge, also of Norwalk, immediately stopped and remained at the scene. "This is a tremendous loss and my deepest sympathy is extended to the entire Olmstead family as well as our Town Hall family who worked with, and loved, Ben so very much," First Selectman Robert Mallozzi said Friday morning in a news release. Olmstead's family described him as someone who was always fun to be around and who was supportive. In fact, his nieces and nephews would call him "Funcle Ben." "He was always there for any of our sporting events throughout our entire lives," Dennehy said. "My sister plays softball and he never missed a game, my daughter plays softball and he never missed a game. He was dedicated and always there ... He just wouldn't want it any other way. He just wanted to be there, no matter what." Olmstead and his wife, Donna, had been married for 40 years. He was passionate about car racing and traveled to NASCAR races all over the country. He retired two years ago but continued working part time, his family said. He was an engineer and surveyor for the town, according to Director of Public Works Michael Pastore, who said Olmstead was working alone when the accident happened. In an interview on the day of the accident, Pastore likened Olmstead to an "encyclopedia" of New Canaan. "He probably knows more about the town than anybody I know," Pastore said, adding that Olmstead was always helpful and a great asset to the department. "He knew New Canaan inside and out," Dennehy said. "He didn't need a map to tell you anything." 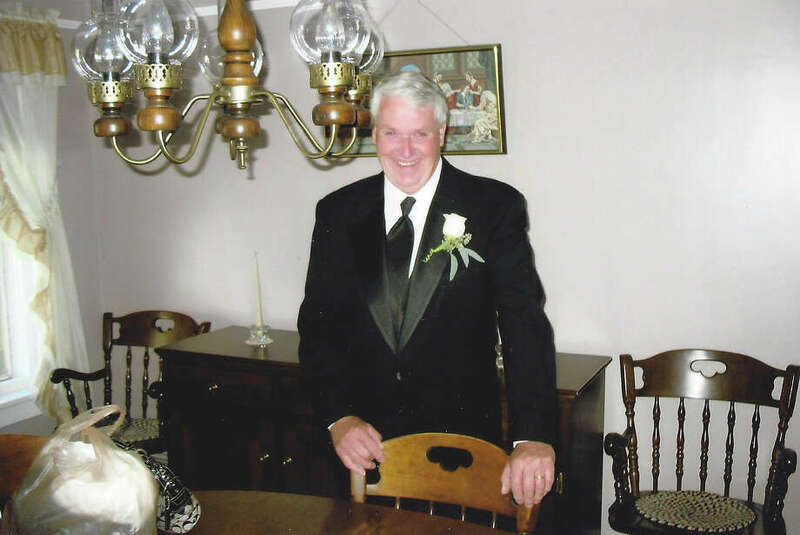 In addition to a funeral service that was held Friday afternoon, a wake is scheduled for Tuesday, July 29, from 4 to 8 p.m., at Magner Funeral Home, 12 Mott Ave., Norwalk. A funeral Mass is set for 10 a.m. Wednesday at St. Jerome Church, 23 Half Mile Road, Norwalk.